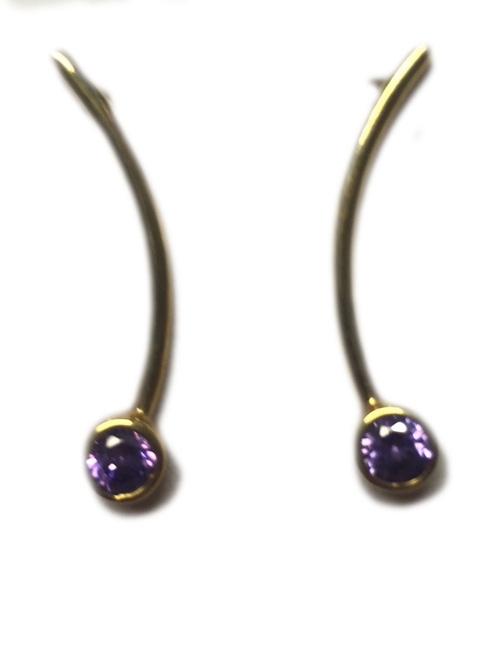 Earrings gold 18 kts with synthetic Amethyst. 3.50 weight Gr. Long 3cmts.